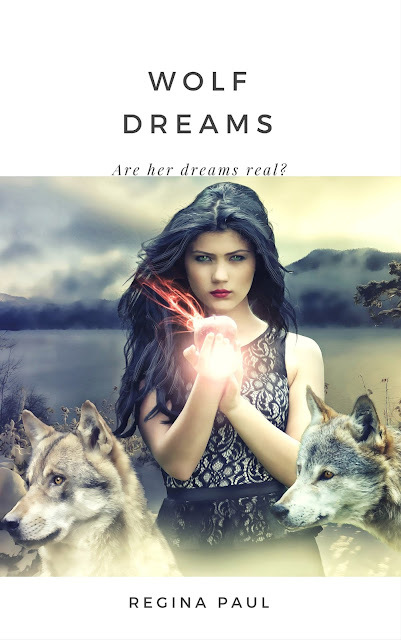 Speculative Romance Author Regina Paul: Free Serial Romance: Wolf Dreams, Part 5 404 ~ Page Not Found! I just spent weeks staring into mirrors including the ones in my apartment. So far nothing so I'm beginning to think it has to do with particular mirrors and not just any mirror, or maybe there's something I'm supposed to do to activate a mirror. Today I'm skipping class and going to one of those New Age bookstores downtown. Maybe I can find a spell or something that will help me turn one of my mirrors into a portal. I've never been to one of these shops before, truthfully I've always avoided them. I have enough paranormal in my life without reading about it. But then I didn't know what the dreams meant or that I was traveling to the world of the fae. Now I've got this whole puzzle to figure out and apparently if I want to save Sarah and break her curse I need to find a damned mirror or figure out how to bespell one so it will open a portal. I think I'm about to lose my mind! The shop is called BeSpelled New Age Book Shoppe and sits on a corner by itself. There's a broom over the doorway so I suspect that though it's called a New Age store, the owner must be a witch. The door is painted a deep purple and outside walls are painted black. As I cross the street and walk to the front door my eyes are drawn to a set of beautiful golden eyes starting from a cute black face. Apparently the shop has a resident cat. I look around, expecting to see someone, but there's no one but the cat in the window whose eyes meet mine. "No freakin' way!" I whisper beneath my breath. Stop dilly dallying Leilani, I need to show you something, hurry up and come inside. With those words the cat jumps down from the window and disappears. As I reach out grab the handle and holding down the old fashioned button on top, I push. Bells tinkle merrily. The door is heavier than I expected and I shut it carefully once I'm inside. I can't believe I'm doing this, or that a black cat is talking to me. I feel something brush up against me and when I look down, the black cat is winding around and around my feet, rubbing up against my legs the entire time. Then it stops and sits in front of me. I'm Sam, Barbara's familiar. I can help you with your quest. I crouch down still staring into the cat's beautiful golden eyes. "Hello Sam. I can use the help, thank you." I mean what else am I going to say to a telepathic sentient cat? Sam's fur looks so soft I reach out and begin petting him. A low rumbling purr rolls out of him and his eyes close in ecstasy. Mmmmm...that's wonderful. Don't stop! I giggle at his words then a shadow falls across us. "I see you found Leilani, Sam." A woman's amused voice breaks into Sam and I's getting to know each other petting. I look up and find a smiling red haired woman with bright kelly green eyes. She's wearing a beautiful forest green long sleeved velvet blouse with a long black broomstick skirt and black fringed ankle boots. Pentagram earrings and necklace are her only adornments. "I"m Barbara, and I see you've already met Sam, Leilani." I give Sam one more pet and quick rub under his chin for good measure and then I stand up. "Hello Barbara. Well clearly you know who I am, though I have no idea how that's the case." "Why don't you come in the back for a cup of tea and I'll explain. Come along, Sam, I have some tuna for you. You were right about Leilani coming today, and you deserve a reward." I laugh at Sam's thoughts and watch as Barbara turns her sign from Open to Closed. That might have made me nervous with other people, but there is something about Barbara's energy that puts me at ease. This woman means me no harm. I follow her to a doorway towards the back that has filmy curtains covering it in shades of purple and indigo with small silver dots all over reminding me of a midnight sky that I saw once when visiting the desert. Behind the curtains was a small kitchen with a table and chairs. The whole set up was magical and someone had painted the table and chairs to match the midnight sky of the curtains covering the doorway. The walls had fairy, elf and forest murals reminding me of some of the fantasy art I'd seen online. The small stove was a mellow yellow color and above it was a microwave on a shelf. Next to the stove was a small refrigerator and to the right was a sink with a cupboard above and below. "I like to do a little baking in here sometimes." Barbara said as she filled two coffee mugs with water and put them in the microwave to heat. "What kind of tea do you like? I have just about every flavor." "Of course. Do you take any sweetner?" "A little honey." I answered. Barbara put out a ceramic container with tea bags in it and a small pot of honey and two teaspoons before she turned and went to the small refrigerator and took out a pouch of Bumblebee Tuna. "Do you want me to warm this up, Sam?" Sam tilted his head to one side as though thinking. Cold is fine. "Very well then." Barbara emptied the pouch of tuna onto a small plate and set it on the floor for Sam. I watch as he runs across the floor and begins daintily eating the tuna. Mmmmm....mmmmmm....tuna! "He really loves tuna, doesn't he?" "Oh, yes. Sam is a rescue. I found him when he was a kitten at the local shelter. No one else realized he was telepathic because they didn't know how to listen for him. Most people don't, but you do, don't you?" "I guess. I didn't know I knew how to listen for him until he first talked to me." "Ah, a latent sensitive. That's not unusual. Animals have a way of waking latents up to their gifts." "What's a latent?" As I speak, the microwave dings and Barbara goes to retrieve the two mugs of hot water. "A latent is someone with powers who doesn't know they have powers or how to use them." "I don't have any powers." I deny what she's saying. If I had powers, I'd use them to rescue Sarah and break her curse. I'm just me, and it's a fluke that I can hear Sam. Barbara sets a mug down in front of me and gestures to the tea bags, pointing to one that has a green wrapper that says Peppermint on the front. I reach forward and grab it,easily tearing the top off and pulling out the teabag. I drop it into the water and watch as the light brown color swirls through the water slowly. "Yes, you do. You may not know how to use them yet, but you do have them. Sam and I can help you hone them so you can help Sarah." How does she know about Sarah? "How do you.." But Barbara cuts me off. "I'm a generational witch and a seer. I saw Sarah and know that she has been cursed by the false face." "A seer is someone who gets glimpses of other places, events, times, the future and other things. It's complicated." Barbara tore open her own teabag, Jasmine, and dumped the teabag in her water. My mind swirls with ideas and thoughts. Is that why I can see Sarah and the fae realm in my dreams, am I also a seer? "No dear, you're not a seer. You only see Sarah and her surroundings in your dreams." "How did I know what you were thinking?" I nod. "Well, you were broadcasting your thoughts rather loudly, and the look on your face kind of said it all." "So, how come I can see her and her realm?" My mind goes blank for a minute. There's no way that's possible. My dad is Native Hawaiian, and my mom's family is originally from Ireland. I mean I know fairies and fae stories are from Ireland, but...that's just not possible. "The same way it's possible for you to hear Sam, and see the fae realm and talk to Sarah. You believe that what you're seeing in your dreams is real, right?" "Well, yeah, I think so. I mean it has to be, right?" "You're not sure, are you?" I shrug. "I don't know, sometimes I'm absolutely certain, and others I think I'm losing my mind. I've had the dreams about Sarah my entire life. I didn't know what they meant, and then I had a dream where I was able to interact with her, and talk to her. That changed everything." I shake my head. I feel something touch my leg and look down to find Sam with his paw on my leg. It is all real, Leilani, don't doubt yourself. "Sam, you have no idea how out there this is for me." Sam starts grooming himself now that he has my attention. It's the so-called real world that is unreal, Leilani. What you perceive as the real world is the illusion. "That doesn't make sense." I say. "Actually, Sam is right. Most of us go about our daily lives ignoring or not seeing because we don't want to, what is actually there. I saw you in visions visiting this shop for the last year, and a year before that, Sam told me that a young woman named Leilani was going to need our help. Drink your tea Leilani, before it gets cold." Barbara nodded to my cup. I remove my tea bag and set it on a plate Barbara had set next to my cup when I wasn't paying attention. Then I take the little pitcher of honey and pour some into my cup, then stir it with my teaspoon before taking a sip. It was actually just right, not too hot, and not lukewarm. I take another sip or two thinking. "So, how do I help her, how I do break the curse?" I watch as Barbara drinks her tea and thinks. "I can't do it for you." She says finally. Sure, of course she can't do it for me, that would be too easy, wouldn't it? I sigh, and put my cup down. "That figures. Can you teach me what I need to do and know to help her?" Barbara looks thoughtful. "I believe so. I don't know fae magic, but I believe I can show you the witch way and the magic in your bloodline will do the rest. Who knows we may even alert one of your relatives and he or she can help you the rest of the way." Now that really boggles my mind. Fae relatives? I don't even know if I believe her that I have fae blood, let alone the ability to contact relatives in the fae realm. "Well, we won't know until we try. I think all of this is enough of a shock for one day. Why don't you finish your tea and then go to class. I know you have one this afternoon, though you skipped your morning class to come here." I stare at her. Apparently there will be no secrets. I shrug, finish my tea in a few quick gulps and stand. "When can I come back?" "Tomorrow is fine, dear, but don't skip your classes. Those lessons are just as important as what I will teach you. I know tomorrow is a light day for you, so come in the early afternoon and we'll begin your lessons in turning mirrors into portals." "Yes, the old immortal woman failed to tell you or learn herself for that matter, that any mirror can be turned into a portal. Being able to turn any mirror into a portal and being able to direct where that portal goes makes it easy to return home if things become too dangerous." "You know about her too, huh?" "Yes." Barbara said gently. "She didn't tell you her whole story. Her curse is easily solved but she is afraid of the solution and so instead refuses to do what must be done." I open my mouth to ask more questions, but the older woman shakes her head. "Tomorrow, Leilani, tomorrow. You need to go or you'll miss your afternoon class. Sam and I will be here tomorrow." She surprises me by giving me a quick gentle hug. I find I don't want to leave but clearly it's time to. I reach down and rub Sam under his chin and then leave following the path I used to come into the store earlier. Tomorrow is another day.